The smallest model in a new range of loudspeakers. The cabinets were machined aluminium castings, and fitted with 4” woofer and a 1” dome tweeter. The cabinets worked on the pressure chamber principle, and were exceptionally compact. 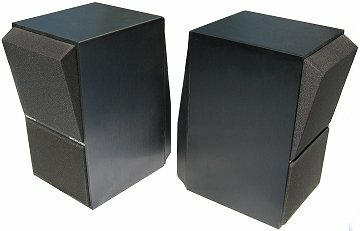 These loudspeakers could be fitted easily into any room, yet provided a good standard of reproduction. They were ideal for use with a multiroom system, such as that based on the Beocenter 7700. Text copyright © Beocentral. Unauthorised reproduction prohibited.